PG-SMG is a shared content media group; in that, some content is given to PG-SMG by third parties and edited and checked for copyright infringement. PG-SMG also checks to see if “original” content meets “fair use” criteria; which doesn’t deny the right of a copyright content holder to contact PG-SMG and make an immediate dispute against fair use criteria. 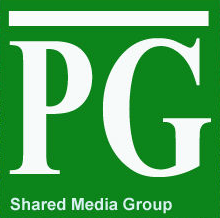 Mediation by PG-SMG is swift and amicable, and it is not the intent of PG-SMG’s to demand rights to publish content summarily under “fair use’ exemptions in spite of a content holder’s dispute. Content will be immediately removed from PG-SMG. Content may be altered in agreement with content copyright holder. PG-SMG may include a Content copyright disclaimer in agreement with content copyright holder.